Come and enjoy a fun night of international food and drink! 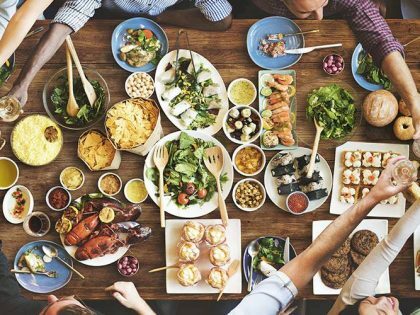 This event, hosted by GlobalPittsburgh, will feature international food and drinks from various unique cultures! Come and share your favorite recipes and enjoy new foods. Please bring an international dish of some kind (appetizer, main dish, dessert) or drinks (alcoholic or non-alcoholic). Please consider donating $3 at the event to help cover the cost of setup.